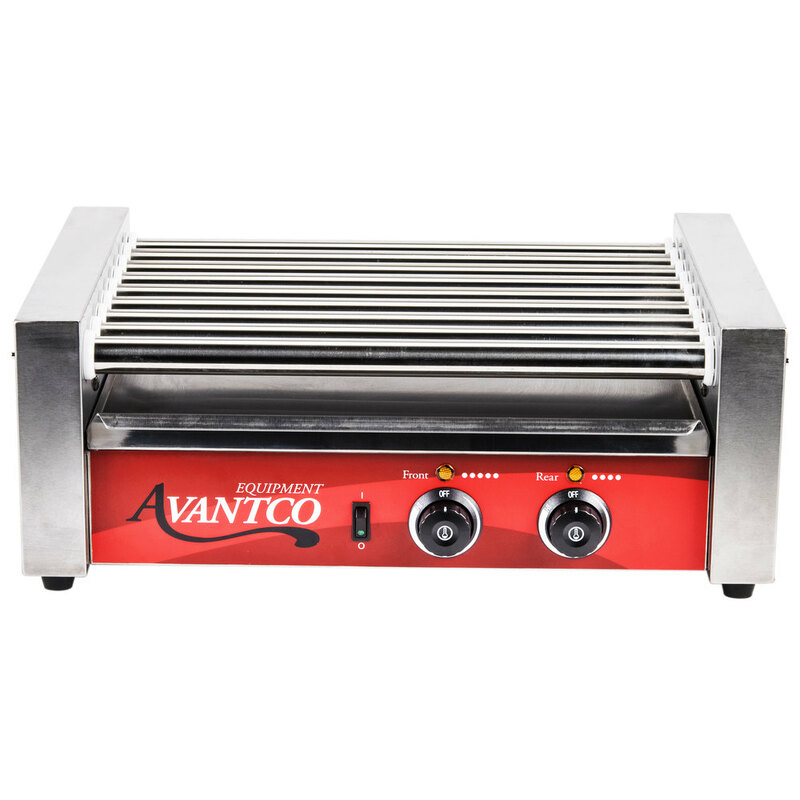 Great for concession stands, convenience stores, or anywhere where customers are looking for a fresh, hot snack on the go, this Avantco RG1824 roller grill boasts 9 rollers, 750W of heating power, and holds up to 24 hot dogs at a time! 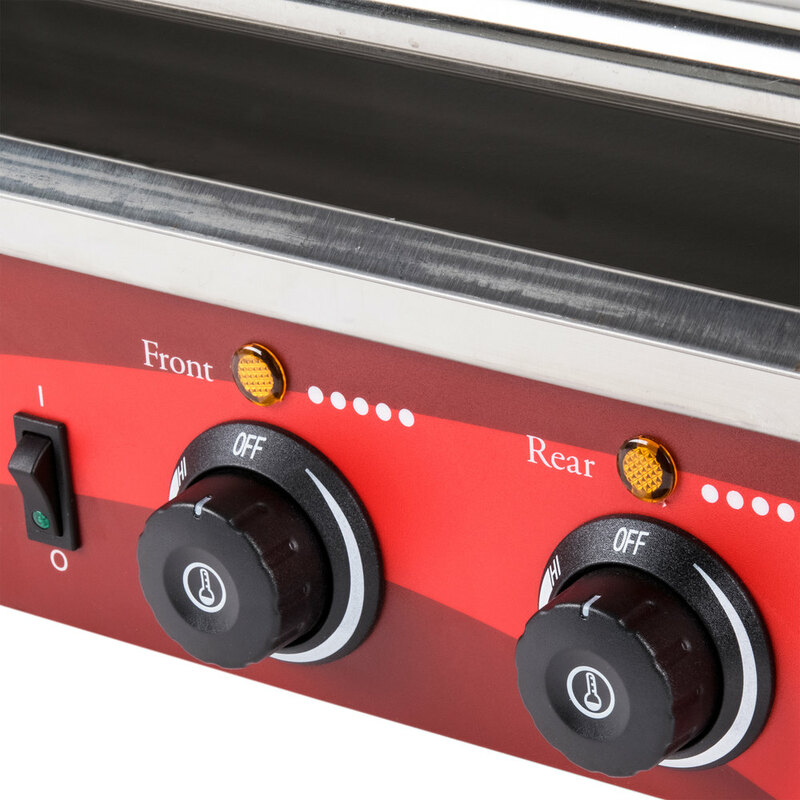 This unit features two temperature control switches so you can adjust for both cooking and holding, while a removable drip tray and all stainless steel construction make it easy to clean. 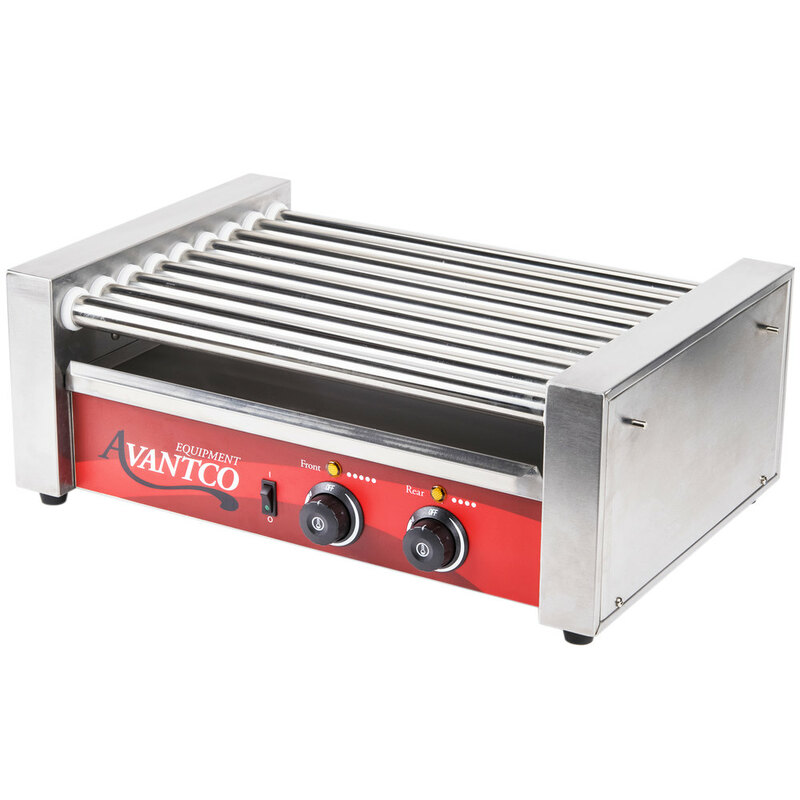 Sturdy non-skid feet ensure that the grill won't move around during operation. Additionally, since it can also be used for other items like breakfast sausages and egg rolls, you can further expand your hot menu with a single piece of equipment! Left to Right: 22 7/8"
Front to Back: 15 3/4"
Our staff loved having this grill in our cafe. 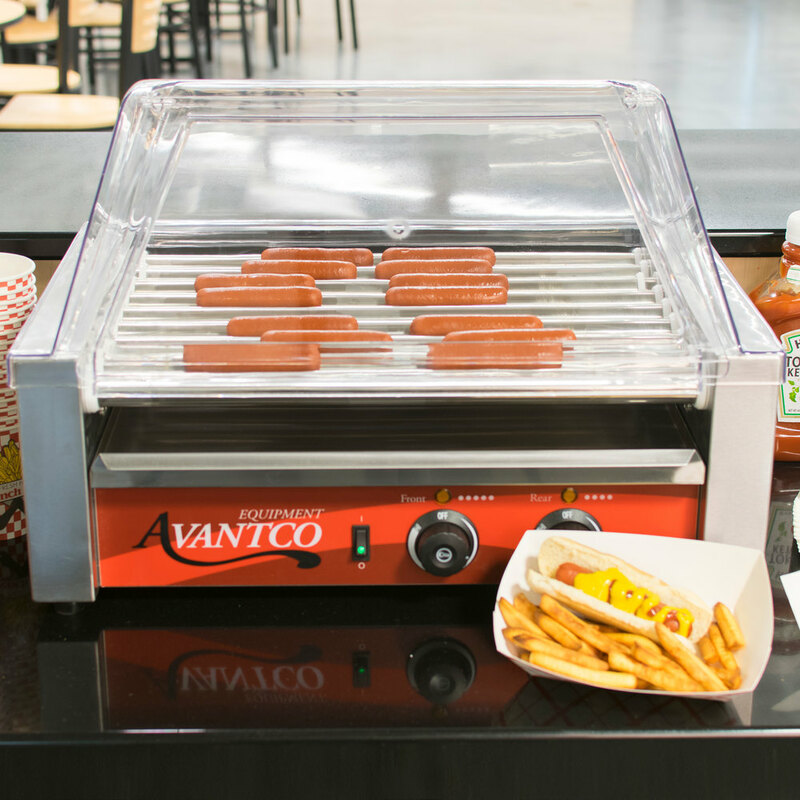 We would add the hot dogs at 11AM and by 11:30 staff could grab a hot dog for a quick snack or lunch. It was very popular in the summer months. Never had issues with the unit. Easy to set up, Easy to use, Easy to clean. Great! This machine makes it so easy for me to operate,before I had to be putting the hot dogs on the BBQ Grill, Now this is much easier I can display 24 one time and it keeps them juicy and nice. Arrived Broken. Since other customers have written complaining that their grill arrived inoperative I tried it out at home as soon as it arrived, before I brought it down to our High School Concession stand. Sure enough it made clicking noises and the rollers jerked but refused to turn. The reason I gave it a 3 star instead of a one star is because it was not all that hard to fix and now works fine. The rollers turn by means of a bicycle chain mechanism behind the left side panel. The drive gear is at the bottom and there is an idler gear towards the left. The arm on which the idler gear is mounted is EXTREMELY flimsy. While this is unlikely to present a problem during normal operation - probably why they designed it so weak - at some point during assembly someone must have yanked on the chain causing the arm to bend, taking tension off the chain and causing it to slip. All you have to do is remove the arm. held on by 2 sheet metal screws, straighten it out (it should be perfectly straight), replace it and adjust the tension. Problem solved. A much better design would be to mount the arm on a pivot and use a small spring to hold tension, but it is just a cheaper unit so what can you expect. I have done business with this site before and their customer service people are first rate. I have no doubt that they would have replaced the product if I had called them but I really needed the grill on the day it arrived so I decided to try the repair myself. We used it last night with no problems running continuously for about six hours. We keep the back 4 rollers on high to cook the dogs quickly and then move them to the front 5 rollers (on low) to keep them warm until sold. In spite of the initial problems, I still think this is a good economical choice for an intermittent use operation like a concession stand. It might not be the best choice for someone who is going to have it running all day every day like a convenience store. 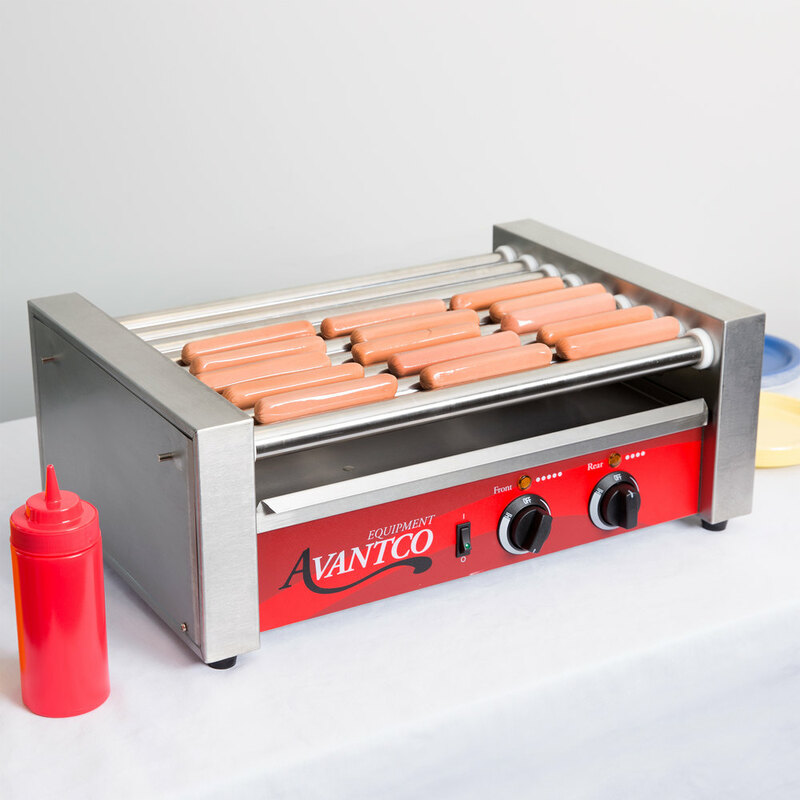 This avantco hot dog roller, fully cooked all Hotdogs within 10-15 mins which is fast for me love this product for business thanks Webstaurantstore.com ?? I have only used the Hot Dog Roller Grill once BUT I am very happy with it. The quality is great and works really well. Highly recommend! 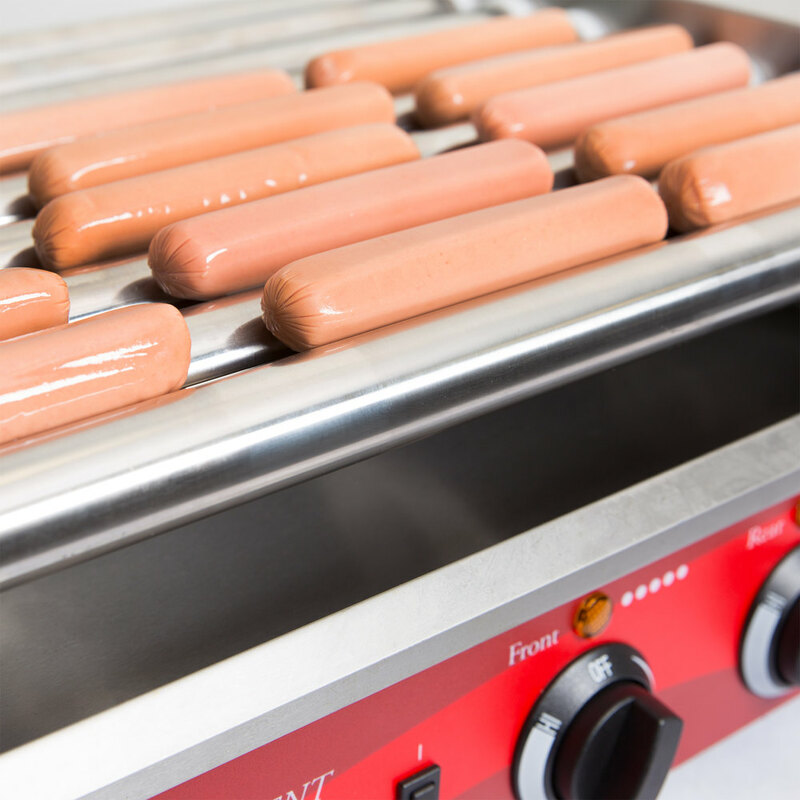 This hot dog grill is easy to use, clean, and can cook both hot dogs and kielbasa like we do at our restaurant. Definitely with the price. Used the roller grill for brats at our Cabinet meeting and they came out great! Their color and taste was awesome and we got high praise for how good they were. The brats were so juicy they exploded in your mouth with each bite. The best grilled brat everyone has had! Highly recommend this roller grill to anyone! I purchased this product to turn out large volume of hot dogs poolside. It allows me to provide lunch or dinner without tending to my grill and heating up the patio. Works like a dream! It cooks our hotdogs fast. 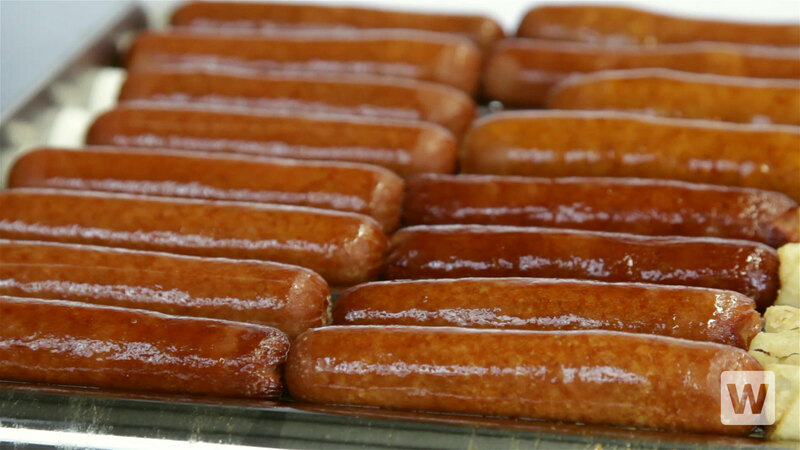 we sell many out of our concession trailer and people love them when they are cooked. it does not leave burn marks and keeps them juicy and warm until they are ready to be served. works great each and every time. Love that the front and back are separate. Can add to it easily. It heats up fast, and keeps the dogs warm. I also have used it for small sausages and it works great! Holds lots of hot dogs, etc. Heats quickly and just sits there and works, unlike some of the staff. Great appearance and it presents the product in an appetizing way.